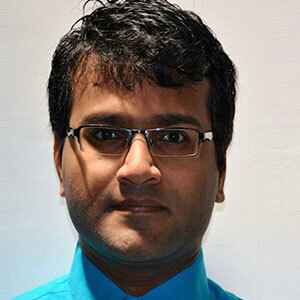 Harish Kumar comes with 17+ years of experience in the IT technology industry. Having worked with several high profile financial clients in building their backend system, he comes with a great enterprise experience. He has been taken as spearheading the CEPTES developments and plan for the company’s long-term strategy and execution of the vision. He is involved in major corporate discussions and manages overall operation and resources of the company. Harish has extensive experience in new business incubation for growth engines from identification to implementation.